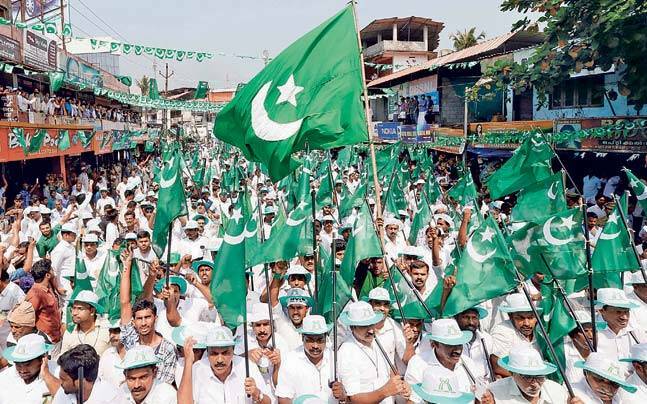 Will Kerala Become a Muslim-majority State in a Few Decades? This would have been termed a rhetorical question, outlandish, or even blasphemous if it had been asked a decade or two ago. But today, the question no more sounds unrealistic, improbable, or farfetched. The true secularists as well as nationalists, not the pseudo variety, who luckily still make up the majority in this southern Indian state, had so far been living in a state of denial with the aim of safeguarding their public image of a liberal. But lately, even those who have put political correctness above common sense have begun to talk privately about their fear of having to live in a Muslim-majority state in the future. Some Keralites, who in their ignorance nurture false pride in their secular credentials, might still dismiss it as a “non-issue” while talking in public. However, the danger signs of upsetting the age-old demographic pattern are there for everyone to see. The population in Kerala, when the last full census was taken in 2011, was 3.34 crore, out of which Hindus comprised 1.83 crore. The Muslims at second place totalled 88.7 lakh, while the Christians numbered 61.4 lakh. The fourth category was not Buddhists or Sikhs but ‘Religion Not Stated’. They accounted for 88,000 in 2011, growing from a mere 25,000 in 2001. As per the latest figures available, Hindus in the state, which likes to call itself as ‘God’s Own Country’, are still in the majority at 54.72%. Islam comes second at 26.56%, followed by Christianity at 18.38%. The other groups like the Buddhists, Jains and Jews are insignificant at a total of 0.34%. But this was not the case a few decades ago. At the beginning of the last century, in 1901 to be more precise, Hindus, numbering 43.78 lakh, constituted a high of 68.5%. The Muslims, who numbered 11.2 lakh, were second at 17.5% while the third dominant community, the Christians, made up 14% of almost 9 lakh believers. In the subsequent decades, the growth rates among Christians and Muslims were much higher than that of the Hindus. In fact, until 1961, the Christian growth rate outpaced that of the Muslims even as the share of Hindu population showed a constant decline. By 1961, the Hindu population in Kerala had dropped to 60.9%. The Muslim growth was moderate, and their percentage of the total population remained at 17.9%, as compared to 17.5% six decades ago. In the process, they became the third largest community in the state. But, the Christians swelled at a fast pace and constituted 21.2% of the total population, shooting up from 14% in 1901. They displaced Muslims from the second position in terms of total population. However, after 1961, the pattern has changed again, making Islam the fastest growing religion in the state. Coincidentally, those were the years when the Gulf boom began. In the ensuing years, hundreds of thousands of Malayali youth went to the Gulf countries in search of greener pastures. Needless to say, most of the migrants were Muslims. It is not clear whether the Gulf boom and the resulting affluence, which was witnessed more among the Muslims than the others, has been in any way responsible for the population explosion among the Muslims of the state. The decades since 1961 have favoured the Muslims in Kerala, and they have become the fastest growing religious community in this coastal state. In 1961-71, while the Hindu population grew at 23.35% and the Christians at 25.28%, the Muslims multiplied at a rate of 37.49%. In 1971-81, the Hindu population grew at 16.7% while the growth of Muslims was at 29.96%, a difference of nearly 14 percentage points. The Hindu growth rate continued to fall and stood at a mere 2.29% during the 2001-11 period, falling from 7.28 in 1991-2001. At the same time, Muslims continued to multiply themselves at a fast pace of 12.84% during 2001-11. The Hindu growth of 2.29% is marginally below the 2.3% required to sustain the population. As such, the demography of Kerala is definitely changing. The share of Indian religionists (Hindus, Buddhists, Jains, etc) in 1901 was 68.91% compared to 17.28% of Muslims. The Indian religionists dropped from 56.28% in 2001 to 55.05% in 2011. At the same time, the Muslim share grew from 17.28% in 1901 to 24.7% in 2001 and 26.56% in 2011. The latest trends are as unmistakable as day and night. In the 11 decades since 1901, Indian religionists in Kerala, which are almost entirely Hindus, have lost 14 percentage points in the share of the population as opposed to Islam and Christianity. Of this 14 percentage points, 9.6% has gone to Islam. The growth gap is widening with each passing decade. During the 2001-11 decade, Islam surged 12.8% while the Hindu population grew 2.2% and Christians increased by 1.4%. Here, the self-proclaimed liberals might argue that the growth of population is inversely proportional to the level of literacy and affluence. It may be true in certain other societies but definitely not in Kerala. In this southern coastal state, which prides in calling itself as the most literate state in India, all the communities are almost at par with the others in terms of their education, social status and affluence. According to the 2011 figures, the literacy rate among the Hindus was 93.49%, while that of Muslims was 93.29%. The Christians were ahead at 96.49%. Similarly, in urbanisation, which is a reflector of affluence, the Hindus registered an urban ratio (UR) of 48.54% (the number of urban people per 100). The Muslims were ahead with a UR rate of 52.08%. This clearly proves that high literacy, modernity and prosperity haven’t in any way inhibited the libido of Muslims in the state. At the current rate, the Hindu population will stop growing even as the Muslim inhabitants will keep surging ahead in numerical strength. How things can develop from here can be gauged from what has happened in Malappuram, a Muslim majority district of Kerala. Malappuram was formed as a separate district in 1969 by taking away some portions of Kozhikode and Palakkad districts as well as some parts of Thrissur. The census of 1971 gave the religious breakup of the population of the new districts from 1911-1961. From that, one can see that the Muslim proportion of the population has grown spectacularly after Independence, and particularly after 1961. For instance, they had a share of 54.3% in this region in 1951, which was only two percentage points above their share of 52.3% in 1911. In 2011, the share of Muslims in this district stood at 70.2%! Along with the rising population, the Muslims have also been growing politically, economically and socially in the state. 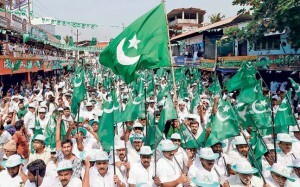 Politically, the Muslim League has been in the ruling coalition of the state for the maximum period. Economically too, the Muslims have become extremely powerful as they have set up a large number of super-speciality hospitals, five-star hotels, self-financed educational institutions, malls and modern townships across the state. With the Muslims accounting for 70% of the total population in Malappuram, the district has undergone a massive change in every way. The most worrisome development probably is the fast pace of Arabisation of the district. Now, most Muslim women here wear head-to-toe black burqa and men sport long beards and a skull cap, traits which were rare in Kerala just a few decades ago. Many men have switched over from the traditional dhoti and shirt to a single piece gown like attire, as worn by the Arabs. Now, many business establishments have Arabic names and many others write their signboards identical to Arabic calligraphy. During Ramzan, the Islamic holy month when eating and drinking is totally forbidden between the sunrise and sunset, Malappuram is like a ghost city during day time. It resembles a Gulf city with all eateries closed and life moving at a very slow pace. The neighbourhoods come alive after the evening prayers and stay on until dawn, just like in the far-away Gulf countries. The Arab influence has spread far beyond the borders of Malappuram. Emotionally, Dubai is probably much closer to most Malayalis than say Delhi or Kolkata. Moreover, the newspapers allot more column inches to the developments taking place in the Gulf countries than other parts of India. Arabic cuisine is currently on the menu cards of restaurants even in small towns across the state. The surge in the Muslim population of Kerala is in tune with the community’s growth across the world. According to a Pew Research Center study, the global Muslim population is estimated to grow at 73% against the overall increase of 35% in the world population in the coming decades. World-wide, Muslims are expected to increase from 1,600 crore to 2,800 crore in the next four decades. By then, there will be one Muslim for every three people. The main reason for this is the relatively high fertility among their community members. The high fertility may be attributed to the religious pronouncements given out by the likes of hate preacher Zakir Naik who enjoin his followers not to go for birth control. Another preacher, Mufti Ibn Adam al-Kauthari, as quoted by Al-Balagh website, has said that “one of the main aims of marriage in Islam is procreation. Islam encourages its followers to reproduce in large numbers in order to increase the size of the Ummah”. In addition to the fast growth of Muslim population in Kerala, migrants from other countries like Bangladesh, Maldives and Myanmar too add to the numbers here. In fact, the Union government recently asked the Kerala government to be wary of the Rohingya migrants from Myanmar, who have lately found their way into various states across India. The Rohingya Muslims first came to Kerala in August 2015 in a 19-member batch. Currently, their strength in Kerala is supposed to be around 26. The demographic balance in the state could get upset further with the outward migration of Hindus and Christians to the US as well as to other first world countries. Those who go in search of a job to those countries prefer to settle down there. In contrast, Muslims mostly go to the West Asian countries, and they always come back to Kerala after several years. So, Muslims gaining a majority in Kerala in the coming decades is a real probability. Preachers like Zakir Naik and other clerics have been openly giving lectures on hate and religious intolerance. Why are they arrested only after some mishap happens? Police needs to be proactive. Killing of RSS and BJP workers in Kerala has seen a jump since the coming in of new left government. Kerala has become a leftist communist state that will favour anything that is against capitalism. Why such outcry if muslims have grown in greater numbers in the state as compared to other faiths? Since the coming of BJP in centre, repeated attacks on muslim identity can be seen from writers and academics. Muslim hold is strong not only in kerala but also in west bengal, assam and some other north east states due to illegal immigration. 50 years down the line, this will invite serious problems for national security. If there were a policy of having just 2 children and all government subsidies after this were to be snatched away from the family, this growth could have been controlled. Its surprising to note that Muslims have far exceeded Christian population in the state. And the increase, if it is allowed to continue, will see Hindus being outnumbered in a decade or two. Government should act against madarasas which impart hate lessons to muslim kids. Even western countries have realised that madarasas are places of teaching extremism to immature minds. Many families in Kerala have at least one of their members working in some gulf country. Wahabism followed by these gulf nations radicalise youth and they are attrached towards religious intolerance. The saffron agenda is to highlight growing population of muslims as threat to India’s territorial intergrity and peace. The truth is that demographics do change in every country, highlighting them as threat is just politics. The only threat with a muslim majority Kerala is that more youth may switch over to radicalism which has already found place in the state. ISIS modules in state are a threat to country. I precisely had to thank you very much again. I am not sure the things that I would’ve carried out in the absence of these creative concepts shown by you about such area of interest. It absolutely was a scary matter for me personally, however , looking at the specialized technique you processed the issue took me to cry with happiness. I’m just grateful for the guidance and pray you recognize what a great job you’re providing teaching most people through the use of a blog. Probably you’ve never met all of us.